It takes a great team to make a good dental practice and, at Weybridge Orthodontics, we pride ourselves on having fabulous people from the moment you walk through the door. Most orthodontic treatment means quite a few visits to the dentist and so you want to be comfortable and happy talking to the people you will be interacting with for six months or more. Once this less tangible consideration is taken care of, you can move on to the practicalities of having your teeth straightened. The range of braces and aligners we have on offer at Weybridge Orthodontics means that we can tailor a treatment to meet your needs and sometimes offer you more than one recommendation so you can make the choice. If you have any questions then you can ask them when you visit. It is great if you look around to get basic information so you know what to ask. However, your orthodontist will use their skills and experience to guide your initial consultation so that everything gets covered. Things that they might ask you about include what your budget expectations are. Whilst some treatments for some ages are available on the NHS, many are not, especially if the procedure has mainly cosmetic benefits. However, your practitioner can talk to you about spreading any costs incurred. Another important consideration for you may be the way your treatment looks. If you need to look smart for work or dazzling for an upcoming celebration then tell your orthodontist this when you visit. Depending on what you need, they might be able to recommend options that are clear or invisible. It may be that clear aligners are an option for you,if you value discretion, because they are very hard to see from the outside. You may have some concerns about discomfort during treatment. While this is an inevitable side-effect of orthodontics for many people, your dentist can advise on ways to mitigate it, the length of time you can expect to experience sensations, and types of treatment where the reported discomfort is less. At Weybridge Orthodontics, we want to talk to you as much as you want about your treatment and then stick with you all the way through. This entry was posted in Orthodontics on 11th November, 2016 by Weybridge and Kingston. At Weybridge Orthodontics, we are committed to the care and dental health of our patients. In order to ensure that you receive the service you want, we listen to your needs and ask you about your priorities when it comes to realigning your teeth or your bite. For some people, it may be essential that they have a budget option, for others aesthetics might be a bigger concern. As everyone is different, we make sure that we take note of what is important to you and suggest options accordingly. You will normally be referred to the orthodontist at Weybridge Orthodontics by your dentist if you need and/or want to have your teeth straightened or something about your bite corrected. They will take a look at your mouth and make a plan with you for moving forward and having treatment. All orthodontic treatments have the movement of teeth in common and they all do it in more or less the same way, which is by exerting consistent pressure on the teeth until they start to move in the desired direction. This happens because the pressure sends a message to a nerve attached to your teeth, which then tells the bone on one side of the root area to start breaking down and allowing the tooth to move. At the same time, the bone begins to build up in the space left behind – it’s a miraculous process. The differences between the treatments on offer at Weybridge Orthodontics tend to be the amount of force exerted and how it is achieved by different types of braces and the focus of the treatment i.e. which teeth and in which direction and length of time that it takes. Movement of the teeth takes the same amount of time, but it can take a shorter or longer time to get the result you want, depending on how extensive the issue is. Braces can also be fixed or removable, although even removable braces need to be worn for a set amount of time per day to ensure they are effective and are sending a steady message to the teeth. This entry was posted in Orthodontics on 9th November, 2016 by Weybridge and Kingston. Does your child qualify for orthodontic treatment on the National Health Service? Here at Weybridge Orthodontics we offer treatment on the National Health Service, according to the government guidelines, which were introduced by the Department of Health in 2006. The good news is that Weybridge Orthodontics can offer every child under the age of 18 a free assessment to find out if they are in need of orthodontic treatment, and also if they qualify for treatment on the National Health Service. The Department of Health has issued an Index of Orthodontic Needs (IOTN) in order to help us at Weybridge Orthodontics find out if each child is eligible for treatment on the NHS. Firstly, treatment on the NHS is only for children whose dental health will be improved by orthodontics. It is not given to children who want orthodontic treatment for purely cosmetic reasons. If your child is missing a tooth, or has impacted teeth, has significantly crowded teeth, abnormally prominent teeth, or something wrong with their bite that is causing problems in some way, then there is a good chance that they will be able to receive treatment on the NHS. Please bring them in to Weybridge Orthodontics for a free assessment. Sadly, even if your child does have a clear clinical need that qualifies them for treatment with Weybridge Orthodontics, there is only a limited amount of funding available for orthodontic treatments on the NHS. This restriction means that even if your child qualifies for treatment, they will likely have to a join a waiting list before treatment can start. At Weybridge Orthodontics, we do our best to keep waiting lists as short as possible, including continual consultations with the NHS local area managers. If your child does qualify for NHS but you do not want to wait keep them waiting on a list, then we also offer private treatments for children. Prices start at £1354.00 for Clarity or Damon Q braces. We offer a 0% interest monthly repayment scheme and if you got to our prices page, we have a calculator to help you work out how much the treatment you think is best for your child is likely to cost. This entry was posted in Orthodontics on 4th November, 2016 by Weybridge and Kingston. International rescue? Weybridge Orthodontics are go! 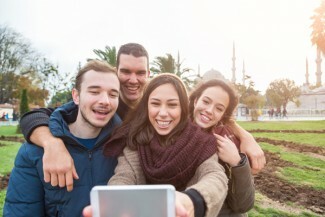 No matter where you started your orthodontic treatment, if you have recently moved to the United Kingdom to live, you can count on Weybridge Orthodontics to be able to help you complete your treatment. Here at Weybridge Orthodontics we make it our business to be up to the minute in orthodontic treatments from all over the world. And we are always delighted to be able to help people who need to transfer their orthodontic treatment, whether in the active phase or the retention phase, from another country. At Weybridge Orthodontics, we are already a referral centre for general dentists in the UK who want to make sure their patients get excellent quality orthodontic care. We have a large team of very experienced orthodontists, and we can support all modalities of orthodontics. In fact, Dr James Stubbs, did some of his orthodontic training in the United States, as part of an exchange programme between Guy’s Hospital in London and the University of Pittsburgh, Pennsylvania. At Weybridge Orthodontics, we already take care of several students who attend local international schools. Please bring as many of your dental records as you can from your previous orthodontist. Ask your orthodontist for a copy of your treatment plan and any special conditions pertaining to your case. Book an initial appointment with us, and then come in, so that we can discuss your treatment so far and draw up a plan to complete it. Try not to leave too long a period of time between your last visit to your orthodontist back home, and your initial consultation with Weybridge Orthodontics. We will also do our best to continue with your original treatment plan. In most cases, Weybridge Orthodontics can continue your treatment with the orthodontic appliances you had fitted at home, but we may need to use different wire, brackets or appliances. The cost of completing your treatment can vary, but we will you give a clear idea of how much you can expect to spend with us. And yes, we are very happy if you want to seek a second opinion. This entry was posted in Orthodontics on 2nd November, 2016 by Weybridge and Kingston. “What has braces got to do with girl power?” I hear you ask. How many of you ladies have wished you had straighter teeth and a better smile? Now how many of you would opt for braces to achieve this look? Just a few years back Beyoncé Knowles wore braces to show that people with braces can be beautiful. We all know that Miss Knowles is an advocate of girl power and you can be too! When you embrace the brace! (see what I did there) and get that beautiful, dazzling smile you’ve always wanted! Other famous women who’ve confidently sported braces without a care in the world, include: Estelle, Faith Hill and Gwen Stefani. So, you do want those straight teeth and that killer smile but you’re not sure you can pull off that ‘train track’ look like Queen B? Don’t despair, there’s an alternative with Invisalign. Weybridge Orthodontics offers clear braces, for a more discreet way to achieve those straight teeth. Invisalign in Weybridge consists of removable, clear aligners that are almost invisible.They’re an ideal way to straighten out those crooked teeth, as they can be removed when eating. The clear braces are so hard to spot that it’s very unlikely anyone would notice them, unless they inspect your teeth up close. Invisalign in Weybridge are great for dental hygiene too; because they’re removable, they can be taken out when brushing and flossing teeth. Clear braces are becoming more and more popular; due to the realisation that stunning, straight teeth can be obtained without a noticeable metal brace, or the price tag of some other cosmetic treatments. Invisalign in Weybridge is one of the best choices you can make to correct your teeth and improve your smile and prices start from just £1884.25. So join Beyoncé and others, by wearing braces and supporting girl power, whilst also achieving that great smile you’ve always dreamed about. 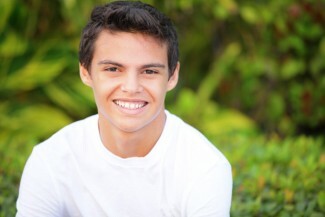 Weybridge Orthodontics offers other teeth straightening options if you decide Invisalign clear braces are not for you. Book an appointment to take advantage of their special offer: just £35 for a consultation. This entry was posted in Invisalign on 28th October, 2016 by Weybridge and Kingston. Incognito braces are customised to fit your teeth. At at the end of the treatment your teeth with be straight, without you having to suffer any embarrassment or lack of confidence, which is all down to the invisible nature of Incognito. Weybridge Orthodontics say that there is no need to remove the braces when eating, as they are fixed comfortably behind the teeth, so eating food and drinking liquid while the brace is attached, will not cause a problem. The braces are made bespoke to fit each patient and an examination is carried out before the Weybridge Incognito braces are designed. hiddenbraces.co.uk say that Incognito braces are suitable for both adults and children, they would be perfect for adults wanting to secretly get that perfect smile, or for children or teenagers that need teeth improvements without feeling self-conscious. Weybridge Incognito braces start from £3590.50 for adults and children, and the practice is currently offering £25 to patients who refer a friend. So what are you waiting for? Arrange a consultation with Weybridge Orthodontics today for just £35 to find out how Weybridge Incognito braces can boost your confidence, and give you an amazing smile that friends will be envious of. This entry was posted in Incognito on 26th October, 2016 by Weybridge and Kingston. Incognito braces are an advanced model of brace that is hidden discreetly along the back of the teeth, not on the front like conventional ‘train tacks’. Incognito allows people to go about their daily routine without feeling self-conscious thanks to their braces being practically invisible from the outside when they speak or smile. Incognito braces in Weybridge are suitable for all age groups – children, teens and adults who want to correct their tooth position but want something more subtle than conventional braces.The Incognito brace is custom made to each patient in order to maximise comfort and ensure the results are as accurate as possible, this is achieved by using the latest computer technology when creating the brace in the first instance. In the UK and Ireland alone there are over 700 dentists that are qualified to fit Incognito braces, and here at Weybridge Orthodontics, we are proud to be home to one of those dentists. Always check the credentials of the dentist you are going to use, for whatever treatment you decide to have. The cost of having Incognito in Weybridge does vary depending upon individual needs, so we advise that you book an appointment to speak to our dentist, who will be able to assist you further following an initial examination of your teeth. To see if you are eligible and would benefit from having Incognito in Weybridge, contact Weybridge Orthodontics as soon as possible and take the first step to improving your smile. This entry was posted in Incognito on 19th October, 2016 by Weybridge and Kingston. Ever wondered when humans first started correcting the position of their teeth? Well, wonder no more. After a bit of sniffing around we’ve uncovered some surprisingly interesting facts about the history of braces.Of course, the technology used by Romans and Egyptians was somewhat different to the appliances we use today. In fact, by modern standards their braces look more like instruments of torture! Ancient Egyptians left traces of their orthodontic experiments in their mummies. Some of these were discovered with metal bands wrapped around their teeth because for them it was important that teeth remained in place in the afterlife. The Romans used techniques for straightening teeth in living patients. 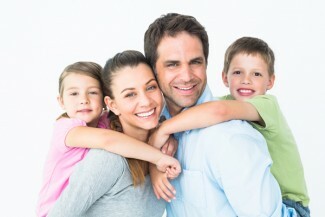 At Surrey Braces, we too focus on living patients! At our practice in Weybridge, Invisalign, a brand of invisible braces, is increasingly popular. This would not be the case if we were still employing ancient Roman or Egyptian techniques that’s for sure. The beauty of the Invisalign brace is that it addresses so many of the concerns and reservations and problems people used to have about the idea of braces. While most of our patients are children and young adults, who have a medical need for treatment, the biggest growth is in adult patients seeking cosmetic dentistry solutions. Instead of the traditional metal ‘railway track’ braces, invisible orthodontics offer the wearer the option to have a clear and sometimes a removable brace. For many teenagers, their image is so important that the thought of having metal braces on their teeth is too traumatising. They fear bullying and isolation.For adults who need to look good for their job, the ability to have treatment that is practically unnoticeable is a crucial feature of Invisalign in Weybridge. The length of treatment is also an issue that is addressed positively by the new invisible orthodontics. In some cases the braces only need to be worn for six months. Another advantage is something that everyone can relate to – comfort. The modern wire technology used in the design of invisible braces means that the force exerted on the teeth is reduced. Anyone who has been through the traditional braces treatment process will appreciate what a bonus this is. In Weybridge, Invisalign is making its mark. You just can’t see it! This entry was posted in Invisalign on 14th October, 2016 by Weybridge and Kingston.